There are several different techniques available for creating dreadlocks, some of which include the backcombing method, twist and rip, and free form. It’s a common assumption that dreadlocks are difficult to make, but this isn’t necessarily true. Depending on the method used, you may spend several hours each work working on them, or you may spend little-to-no time on them. Today, we’re going to take a closer look at the free form method used to create dreadlocks, revealing its pros and cons. The free form method lives up to its namesake by allowing dreadlocks to form naturally, without the assistance of products or manually work. The single greatest benefit of using the free form method to create dreadlocks is its simplicity and ease of use. Unlike other techniques (e.g. the twist and rip), you do not have to mess with your hair to get them into dreadlocks. Clean hair will actually dread itself if you leave it alone, making this an easy, hands-free way to create dreadlocks. Another reason why so many men and women prefer the free form method over other dreading techniques is because it does not require any special wax or hair product. Other techniques may require regular applications of hair product to “prepare” your hair for dreading. Over time, these products will accumulate in your hair, weighing it down and making it difficult to wash out. Of course, there are also some potential disadvantages to using the free form method. For starters, some of your hair may not dread itself. Even if you wash your hair on a regular basis, some strands are bound to grow outside of the locks. This is why it’s a good idea to get into the habit of checking your dreads on a regular basis, guiding stray hairs back into nearby locks. There’s also the issue of time associated with the free form method. 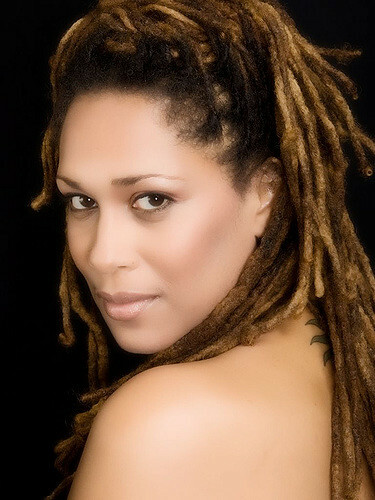 The time it takes for dreadlocks to grow will vary depending on a number of different factors. Using the free form method, however, you can expect it to take at least three months, sometimes even longer. It’s not a fast process by any means, but it’s certainly easy.